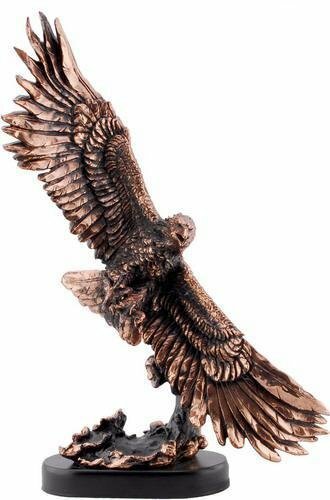 Our Eagle is sculpted in resin and finished in a metallic gold casting. This striking bronze icon is available in three sizes and comes mounted on a gold pedistal. This piece is perfect for displaying your top trophy! 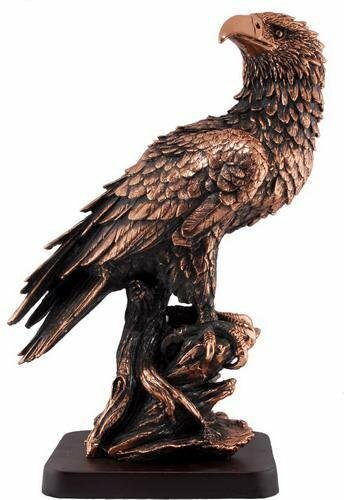 The Perched Eagle award is perfect for any occasion. 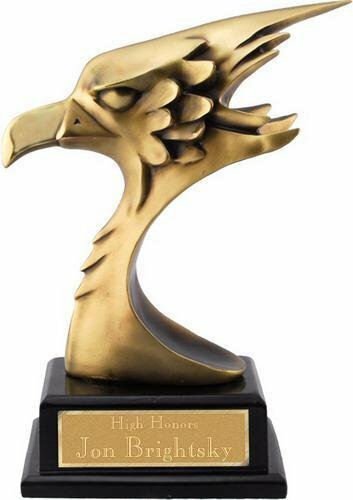 The Soaring Eagle award is for those daring to soar above the rest. The Eagle Landing was crafted with extreme detail. 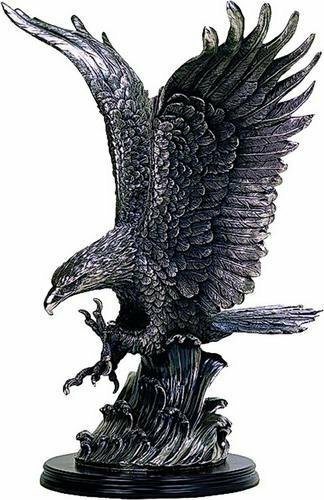 The Eagle head is perfect for your top performers. Attached to a black pedestal with room for engraving your message of appreciation. 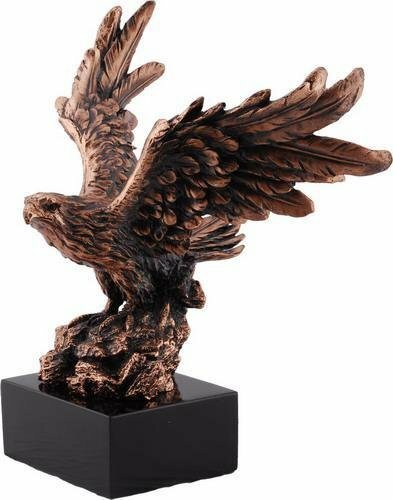 The Flying Eagle award is a beautiful piece with no details left out. Attached to a black pedestal with room for engraving your message.